Add aesthetic appeal to your living area -- it’s easy when you choose luxury vinyl tile in Springdale, AR, from Flooring America by CarpetSmart. Available in countless designs and colors, this flooring product offers homeowners and businesses limitless options when it comes time to redo their floors. Most importantly, LVT flooring is very affordable and easier to install than other types of flooring. All in all, it’s the best of both worlds in one convenient package! Let the flooring experts at our store help you choose the perfect product for your next home remodel or renovation. Stop by today to tour our showroom -- a knowledgeable team member is ready to show you as many samples as you’d like to see. If you’re unsure which option is right for your needs, don’t worry; we’re more than happy to make recommendations according to your family’s needs, your style preferences, and your budget. Changing the floors can change a room’s entire look and feel. 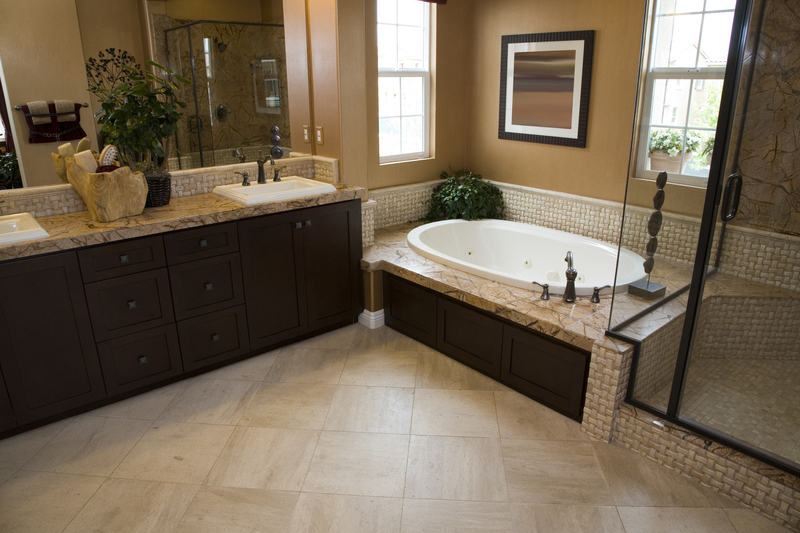 For example, luxury vinyl tile modeled after natural stone can create a much earthier atmosphere. This means colors like black, gray, brown, and rusty red. For shoppers interested in creating a more natural space, LVT could be a great asset. It all depends on your goals for your interior. Your new luxury vinyl tile flooring could be a project on its own, or a part of a large renovation or remodel. Either way, you can always rely on our showroom staff to help you assess your needs in light of your home or business’s current (or prospective) appearance. Let us point you in the right direction. Local families and businesses trust Flooring America by CarpetSmart to handle their renovation projects because we have a reputation for delivering outstanding service and excellent results. When you come to our store, you’re not just another customer to us. You’re a neighbor and a fellow resident of our community. We want to help and support the members of our community by making their properties as beautiful as we can. Each of our home flooring associates has the necessary knowledge to help you find the perfect luxury vinyl tile floor for your home. No matter what type of interior décor you already have in your space, you can always depend on us to help you take your home to the next level, creating a space that is both warm and inviting. So, what makes luxury vinyl floors so unique? Luxury vinyl tile floors are manufactured with special printing technologies that were not available years ago. To that end, your new floors can effectively mimic actual wood, stone, or tile. They create believable depth and realism that will fool even the most observant guests. Old and unattractive vinyl flooring is a thing of the past. It used to be that if you could not afford hardwood or tile, you’d use vinyl. Today, LVT flooring is often the product of choice for home and business owners. Vinyl floors simulate authentic hardwood and other materials with their unique colors and textures. Strong and versatile, you can easily and affordably enhance your living area with this flooring product. Stop by our showroom to browse our expansive selection. LVT flooring also has another excellent advantage. It is eco-friendly. Just think, you can have beautiful floors and be environmentally conscious at the same time! While the production of traditional vinyl tile flooring that was used years ago was not a good source of renewable resources, today, luxury vinyl is made more environmentally friendly through advancements in technology, as well as through a more streamlined manufacturing process. Not only do manufacturers of vinyl tile use less non-renewable resources, but some also use recycled vinyl products. When you’re ready to improve the appearance of your home or business, depend on us for a professional LVT floor installation. Simply choose the pattern, color, and style, and we will install it quickly, efficiently, and affordably. We have provided flooring installation for many years, so you can trust us for exceptional services from start to finish. Before installing your new floor, it’s important to prep the surface. That is why we take care to do everything correctly. The surface should be smooth and clean before any installation. In addition, we ensure the foundation is secure and level. The installation is usually faster than hardwood flooring installation, yet at a lower cost per square foot. Confidence Plus Warranty -- If you’re not happy with your 4 or 5 Star rated floors after 30 days of purchase -- for any reason -- let us know. We’ll come to your home or business and replace the floors on our own dime. Price Protection Guarantee -- We refuse to be outsold by our competitors. If you purchase a product from us and find that same exact product priced lower at a competitor’s store, let us know. As long as it is within the first 30 days of your initial purchase and the product is the same brand and style, we’ll refund the difference. Lifetime Installation Guarantee -- We have the utmost confidence in our installers. However, if you ever find any installation-related problems with your LVT floors, we’ll be sure to fix the issue promptly, and we’ll pay for the labor. Contact us or stop by our showroom today to explore our selection of luxury vinyl tile. We proudly serve residents of Springdale, Arizona, and nearby areas.